STANZA 1: The first quatrain describes the poet writing his lover’s name on the sand. Yet, the very next moment, the waves swallow them up and the letters vanish away. In the verse “Again I wrote it with a second hand”(line 4), we can see how the poet strives once more to leave his writing upon the beach, only to see it quickly disappear. We can understand the poet’s endless, but futile effort to immortalize something that is mortal. At the same time the writing of the lady's name, which is the central image of the poem, is transferred from earth to heaven. Here we learn that time is the destroyer of all things but even so, the poet perseveres with determination to engrave his love on the walls of time itself. STANZA 2: In this quatrain, the poem states that the poet's lover did not have the confidence in his efforts of trying to immortalize his love towards her. She argued it is a mere waste of time and effort as love is a mortal thing as the phrase "A mortal thing so to immortalize". She will be “washed away” just like her name was washed away by the tide. The lover tell the poet that he needs to stop what he is doing and is vain for his efforts as everyone in the world will eventually have to die as time and tide waits for no man. She wanted him to know that his actions were only futile and that there is nothing he could do to control the immortality of their love because immortality itself does not exist. The lover only meant for her partner to accept the cruel and harsh realities of life that nothing can last forever. STANZA 3: In the third quatrain, the poet claims that he can make their love last forever despite mortality. He says he can do this by using his verse. He goes on to say that when people die, (because people do die because they are mortal) that everyone will still have knowledge of their love because it will be eternal. The line “My verse your virtues rare shall eternize". Despite the fact of the poet's beloved discouraging him, he never did give up but instead he proved his point by immortalizing his love towards his wife through his words and writing elements. And now even though both he and his wife are long gone from the phase of this earth, but the everlasting love the poet had towards his wife will always be known and remembered for more generations to come. Just as he promised, to use his verse as a tool to immortalize her virtue for as long as it will be. Final Couplet: Shows a contrast between their immortal love and other things that will die with the passage of time. The capitalized world “Death” shows how it will brutally destroy all other things except for their love, which will be renewed by the presence of the sonnet. This couplet embraces the theme of the poem that their love will not fade away like other mortal things on earth. In Sonnet 75 by Edmund Spenser, the speaker tells a brief tale about himself and his mistress, debating about mortality one day at the beach. As we know, love is a mortal thing when one, or both partners depart from this earth, their love will slowly fade from the consciousness of people. Through this poem, the speaker is trying to let the readers know of his efforts to immortalize his beloved. Even as time passes and when they're long gone, their love would still be known throughout the ages. The sonnet is written in the pursuit of a woman whom he loves.The poet desires to commemorate the beloved by inscription. He tries taking writing off the page to the outdoors, leads to a lover's debate about death & time. Here we know that his lover believes that everything will subdue to the power of nature and everyone will die just like everything else on the earth but the poet believes otherwise. He feels that their love will stay alive forever and she will be famous (you shall live by fame). The poet wants to immortalize their love through his writings and it will be known until the heavens. Even though death might separate them for the time being, but the poet strongly reaffirmed that they will be together again after death because he believed in life after death and that the love he had for his wife could never tear them apart. - The sea alludes to the distance that is between the lover and his beloved which is causing pain to the lover. - The writing on the sand refers to the lover’s insistence on making a worldly impact on his beloved. - The waves are a constant reminder of the cruelty of love, haunting again and again. By washing away the name of the beloved, the waves act as torrents of torture. The waves also signify time. The erasing of the name by water signifies the transient nature of human life. - The sea-side or beach also symbolizes a peaceful, comfortable place where the lover unreservedly expresses himself. - The lover’s writing on the sand can be a reference to man’s inherent desire to eternalize his being to be remembered forever. 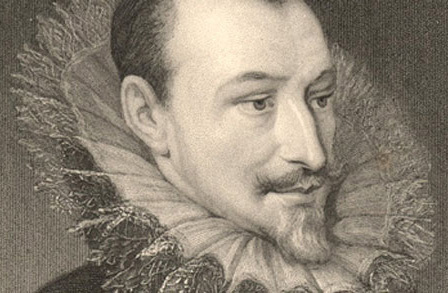 Sonnet 75 is taken from Edmund Spenser’s poem Amoretti which was published in 1595. The poem has been fragmented into 89 short sonnets that combined make up the whole of the poem. The name Amoretti itself means “little notes” or “little cupids.” This poem is said to have been written on Spenser’s love affair and eventual marriage to Elizabeth Boyle, his second wife. Sonnet 75 centers on the immortality of spiritual love and the temporality of physical love.Poetic images can be surprisingly persistent over time. Spenser's Sonnet 75 opens with the striking image of a man writing his beloved's name in the sand, only to see the waves wash it away again. Anyone who listened to the radio in the 1950's would have heard a hit song by Pat Boone, called "Love Letters in the Sand." In a very general sense, the images are the same, as they suggest how ephemeral a gesture of love can be. If we look more closely though, we begin to see differences. The speaker in Spenser's sonnet is not a pop singer whose girl has left him. Spenser is in fact setting the speaker up for a rebuke from his beloved, who charges him with the vanity of ignoring his own human mortality. The lover in his turn is then able to raise the argument to a still higher plane, as he asserts that their love will triumph over death. When the sonnet begins to deepen, it does so by invoking a variety of issues characteristic of the sixteenth century: the intense awareness of death, a continued sense of pride as a sin (even among protestants), the Petrarchan notion that mortal love can lead upward to divine love, the attempt to define a new kind of sacred married love. The image of writing a name in the sand doesn't have any absolute meaning of its own, certainly not one that transcends time. But like any image it is available to be used in a way that serves the needs of a particular moment in history. Sometimes it's just those images which seem to have the shock of familiarity that we need to look at twice. They might give us a way of getting inside an experience that happened 400 years ago, if it happened at all. But they may also show us that when history repeats itself, it does so differently. Overall, Sonnet 75 is a poem about a man promising eternal love to his beloved one. He eschews his lover’s realistic worries about the loss of love due to death with enchanting words. His elaborate and detailed use of language creates a rhythm and deepens the meaning as it goes along with the tone of the verses. Thus, as the poet had anticipated, as long as people read and recite this poem, it will last eternally as a beautiful sonnet.